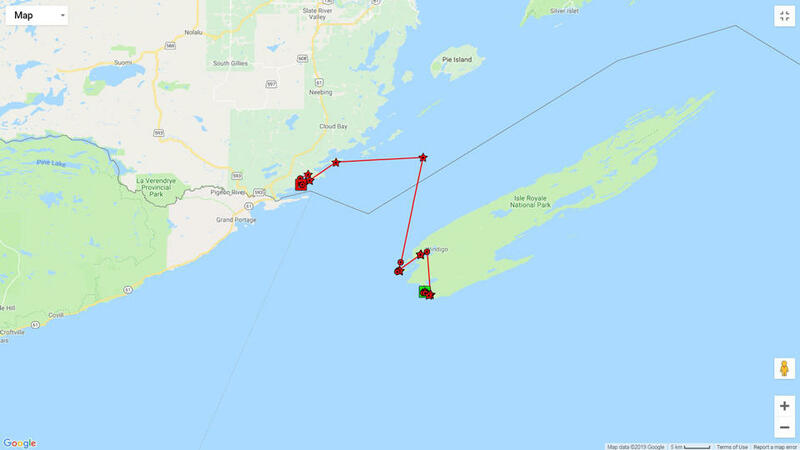 One of the wolves brought to Isle Royale National Park as part of a relocation effort has left by way of an ice bridge. Park officials say trackers on the wolves showed one female wolf left the island. On Saturday, officials were able to confirm the wolf walked over an ice bridge into Canada. The female wolf was one of three surviving wolves brought to the island as part of the relocation effort. Phyllis Green is with Isle Royale National Park. She said during the planning of the relocation effort it was understood that something like this could happen. Locations of the female wolf between January 26th and February 2nd. Green said one of the four wolves brought to the island died of pneumonia. Green said the park is continuing to work with Canada to bring more wolves to the island this winter. She said the wolf could have left for any number of reasons, including poor mate selection. There is only one male currently on the island.